Looking for a caterer for your special occasion? It can be a real headache! Usually people will look for a caterer by word of mouth and you might be stuck with the same common ones. Sound boring right? I am certainly one of those that love to try new things. However, when planning a meal for many people, I will tend to be more careful and want to lean towards the safe side of things. Trying new ones which I never hear any review on will be kinda worrying for me. What if the food is bad? What if they are not punctual? I am glad that I found out about FoodLine (FoodLine.sg). 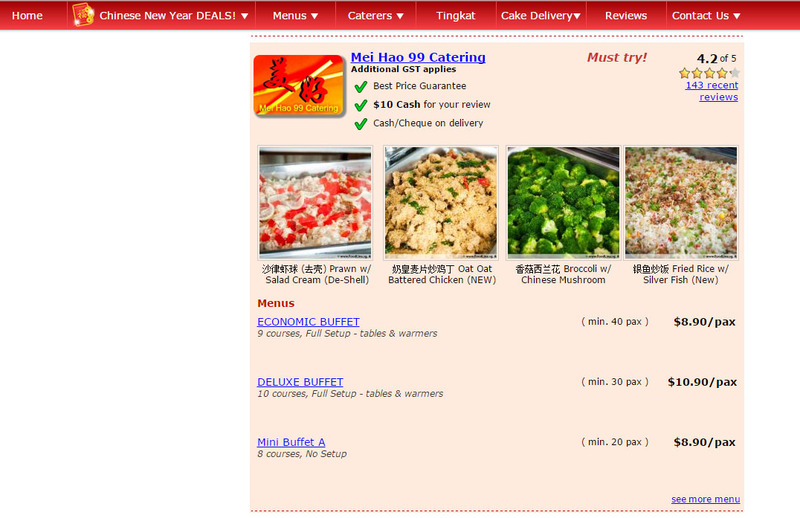 It is a Singapore Catering Portal. 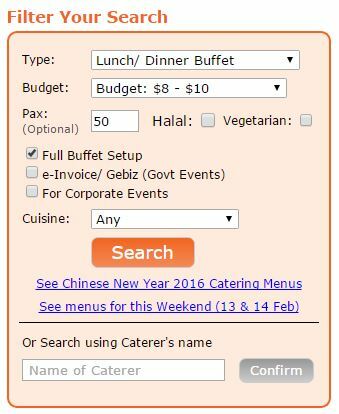 There is a list of 139 caterers (As of 10 Feb 2016). CNY Caterers... Halal Caterers... Wedding Caterers, High Tea Caterers, Baby Showers Caterers as well as Ting Kat. Almost like you can definitely find a caterer to suit your needs. What I like most is their Search Caterer Feature. It is always a hassle to look through many caterer menus to filter out simple requirements like budget, no. of pax, halal, vegetarian. This saves a lot of time and effort. Especially for the busy office warriors, trying to tackle work and organising a department gathering. I can simply enter the type of buffet, budget, no. of pax, halal, vegetarian, full buffet set up, e-invoice/GeBiz, for corporate events! Ta Da~ Here you go! A caterer menu that meet the requirements. No need to go through so many menus! Phew! Cake Delivery is also available on FoodLine.sg where you will be able to find birthday cakes, baby first month cakes packages or wedding cakes packages as well. (http://www.FoodLine.sg/cakes/). 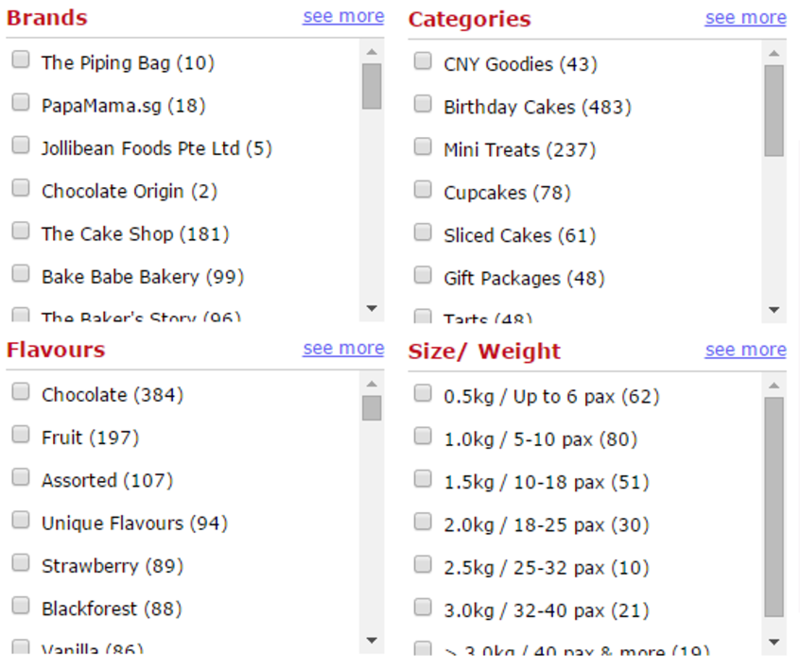 For cakes delivery, they have different types of Search Feature! You can easily filter by Brands, Size/ Weight, Categories and Flavours. 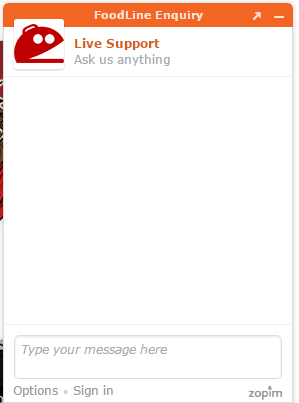 I also noticed they have a Live Chat. If you have any enquiry, you can always chat with their live chat support during operating hours. So convenient!